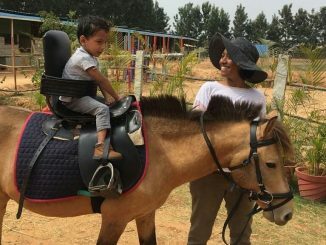 An ex-management consultant, Subhadra Cherukuri has a diploma in animal assisted therapy, and has been working with children with special needs, through dogs and horses for two years. She is co-founder of The Paws and Hooves Project at Wag-wille in Bengaluru. Animal-assisted therapy, a relatively new concept in India, can be used effectively in issues of both mental as well as physiological and neurological health. An experienced practitioner in Bengaluru explains the multidisciplinary aspects of such therapy.